Professional Supplement Center now offers AQUA BIOME, a line of uniquely blended, science-based omega fish oil formulas manufactured by Enzymedica®. These innovative, potent, effective products are specifically designed to promote microbial diversity in support of a healthy microbiome and overall wellness. A flourishing microbiome beneficially impacts the immune, cardiovascular, digestive and musculoskeletal systems. The supplements provide an optimal ratio of omega fatty acids, including DHA and EPA, as well as DPA, a unique fatty acid not typically seen in concentrated fish oil supplements. These optimal omega blends support healthy energy levels and proper mood, as well as joint, skin and brain health. Products are manufactured in accordance with cGMP guidelines in a GMP facility certified by NSF. A breakthrough chemical and solvent free manufacturing process is utilized to extract the omega-3 fatty acids, completely eliminating heavy metals and toxins, and resulting in unparallel purity. AQUA BIOME’s pure, clean fish oil is sustainably and responsibly sourced from wild caught Peruvian anchoveta, a low toxin level small fish. 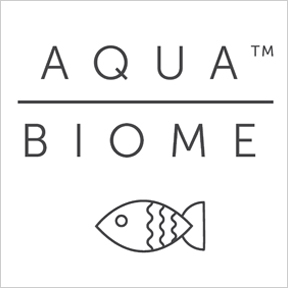 AQUA™ BIOME is the first fish oil to receive Clean Label Project Certification by an independent, non-profit accredited chemistry laboratory that tests for 130 harmful environmental and industrial contaminants. All products are gluten, soy, dairy and GMO free. To help save and restore the Florida Keys coral reef, AQUA™ BIOME by Enzymedica has partnered with Mote Marine Laboratory and Aquarium, a private, internationally respected, non-profit marine research laboratory located in Sarasota, Florida. Global warming, destructive fishing practices, plastic litter and pollution are destroying individual live corals at an alarming rate. Every bottle purchased results in a donation to Mote to plant new corals with a goal to rebuild one mile of underwater life in the only barrier reef system in the continental U.S. by 2021. Fish Oil + Meriva® Curcumin: ON SALE This cutting-edge formula delivers 1200 mg of omega-3 fatty acids plus 500 mg of Turmeric Phytosome® per serving in support of proper digestion, healthy energy levels and muscle recovery, as well as joint, brain, cardiovascular and immune health. Sustainably sourced, gluten, dairy and soy free, non-GMO formulation. Fish gelatin capsule. No additional ingredients. Fish Oil + Sports Performance: ON SALE Each serving of this breakthrough formula provides 1200 mg of fatty acids plus 250 mg of Quercetin Phytosome® in support of a healthy microbiome, endurance and overall wellness. Clinically studied Quercetin Phytosome® has been shown to improve muscle performance, as well as reduce delayed onset muscle soreness after exercise. Sustainably sourced, gluten, dairy and soy free, non-GMO formulation. Fish gelatin capsule. No additional ingredients. Fish Oil + Digestive Relief: ON SALE This optimal level formula provides all the benefits of omega 3 fatty acids plus advanced support for digestive irritation. Each serving provides 1200 mg of omega-3’s, plus Casperome® (boswellia serrate complex), a full spectrum extract demonstrated to reduce both bowel and joint related discomfort, as well as promote intestinal motility. Sustainably sourced, gluten, dairy and soy free, non-GMO formulation. Fish gelatin capsule. No additional ingredients. Fish Oil Maximum Strength: ON SALE Each serving of these natural lemon flavored high potency softgels provides 2000 mg of DHA, EPA and DPA plus additional omega fatty acids in support of proper digestion and overall wellness. Sustainably sourced, gluten, dairy and soy free, non-GMO formulation. Fish gelatin capsule. No additional ingredients. Classic Strength formula also available. If you are looking to maintain or improve your digestive health, Enzymedica has a supplement for you. Dedicated to providing exceptional enzyme-based supplements, Enzymedica provides cutting-edge therapeutic formulations by utilizing a proven and exclusive technology that blends multiple strains of enzymes for superior potency. All foods require enzymes to extract the vitamins, minerals and other vital nutrients they contain to enable them to be utilized by the body for rebuilding and healing, creating energy and supporting biological processes. As we age, our bodies produce fewer of the enzymes necessary for healthy digestion. Supplementing with digestive enzymes can result in improved digestion, less abdominal stress and greater assimilation of nutrients. Reducing the stress on the digestive system results in more energy made available to other systems responsible for overall health including the immune, cardiovascular, endocrine and nervous systems. All of Enzymedica’s 100% vegetarian enzyme supplements are renowned for their quality and purity and are internationally recognized for their high level of enzyme activity. Their cGMP Certified formulas are verified by in-house and third party analytical testing. No fillers, excipients or GMO ingredients are ever utilized. All formulas are gluten, soy and dairy free, Non-GMO and suitable for vegetarians. Digest Gold™ W/ATPro – This high potency formula offers optimal digestive support and assists in the digestion of proteins, fats, carbohydrates and soluble and insoluble fiber. Digest Gold™ is an excellent choice for those who wish to fully benefit from the nutritional content of their food, those who may be lipase deficient or those who have health issues not necessarily associated with digestion. Digest Gold™ + Probiotics – This product offers the convenience of high potency digestive enzymes in combination with guaranteed delivery of active probiotic cultures. TherActive™ specially coated probiotics and delivery system ensures these healthy bacteria are delivered into the intestinal tract for maximum benefit. casein intolerance, this product provides assistance in digestion and assimilation of the offending proteins, assists in normalizing the inflammatory response to the gluten peptide and proactively supports the digestive system. Acid Soothe™ – Formulated to soothe gastrointestinal distress and discomfort, Acid Soothe™ provides pure and beneficial plant enzymes and botanicals to promote absorption of nutrients, protect and strengthen the stomach mucosa and support the maintenance of digestive health. 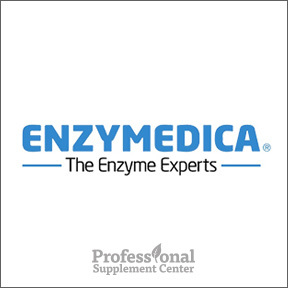 Since 1988, Enzymedica has been producing cutting edge digestive enzyme formulas to provide targeted support for digestive issues, food intolerances, cardiovascular issues, proper immune function, and healthy inflammatory processes. Their exceptional enzyme-focused supplements contain the highest therapeutic activities available. Enzymedica’s trademarked Thera-Blend™ process ensures increased potency by enabling each enzyme to break down more bonds throughout the entire digestive system and are therapeutically customized for optimal performance throughout the entire body. Enzymedica’s plant-based enzyme products are highly respected and are well known for their exceptional quality, purity, and immediate bioavailability. These vegan and vegetarian formulas contain absolutely no fillers, are manufactured to the highest standards in GMP certified facilities, and are tested according to international standards to verify accuracy and ensure active potency. Digest Gold™ Plus Probiotics, an award winning digestive enzyme formula, provides the convenience of high potency digestive enzymes with guaranteed delivery of active probiotic cultures, which are designed to be released in the lower intestines for optimal benefit. GlutenEase contains a unique combination for effective digestion of gluten and casein. This high activity product breaks down gluten and gliadin proteins, reducing the symptoms associated with intolerance and proactively supporting their proper digestion and absorption. Digest Spectrum offers complete support for multiple food intolerances by providing multiple strands of specialized enzymes for gluten, phenol, lactose and casein digestion. Enzyme Nutrition Multi-Vitamin for Women 50+ is formulated to meet the unique needs of women 50 years and older and provides enzymes and naturally occurring cofactors, guaranteed potency, shelf stable probiotics, nutrient-rich superfoods and daily botanicals for brain, heart, and bone health, plus hormonal and daily antioxidant support. Enzyme Nutrition Multi-Vitamins for Men provides high potency enzymes and probiotics along with compound-rich botanicals and nutrient dense whole foods for heart, energy, immune and longevity support.